The Worldbuilders charity passed its stretch goal of a million dollars, so I lit a whole bunch of candles, put on a coat once worn by a dead brother in the Stardust movie, and I read Edgar Allan Poe’s poem “The Raven” by candlelight. 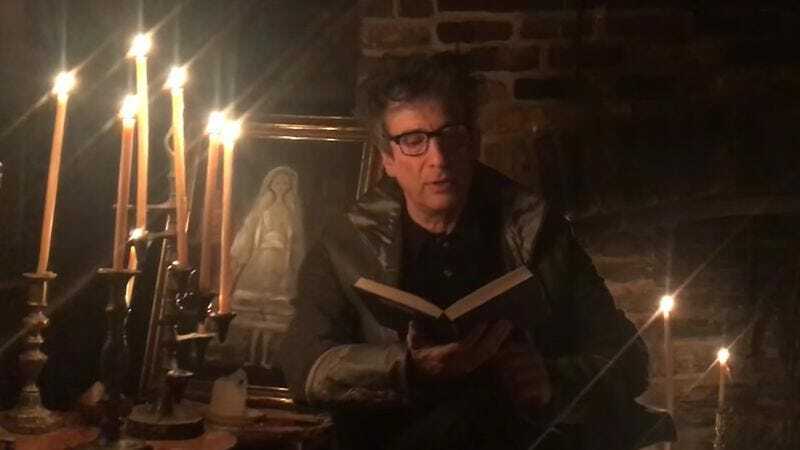 Gaiman’s voice is uniquely suited for reading Poe, and the crackling fire in the corner will help viewers imagine how “each separate dying ember wrought its ghost upon the floor.” The candles complete the mood, and there’s a painting directly behind Gaiman as he reads that stands in nicely for Lenore herself. And, after all, Poe did set his tale of woe and madness during “the bleak December,” so “The Raven” is wholly appropriate for the season.